Trenchers opened in 1980 and became an instant hit with locals and tourists alike. Launching as a Fish & Chip and seafood restaurant, the menu was developed to make the most of the fresh produce available in the famous seaside town of Whitby. During the 80’s the restaurants positive reputation stretched throughout Yorkshire and further afield gaining momentum with loyal customers choosing to return again and again. To this day, much of the menu, and many of the suppliers remain the same, with continual improvement being the number one priority. 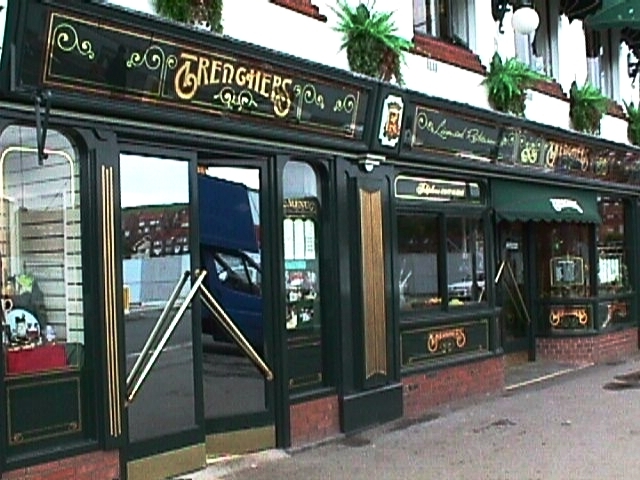 Almost 40 years after Trenchers launched, the restaurant continues to attract diners from near and far with the venues takeaway being a welcome addition. Following four decades of subtle adaptation, Trenchers familiar atmosphere is eternal. The well-loved Italian-style booths may have been replaced, cooking equipment updated and menu re-vamped in places but the soul of the restaurant remains the same. In the summer of 2018, Trenchers of Spanish City, Whitley Bay, will also open to the public, representing the next chapter of the restaurants rich history. 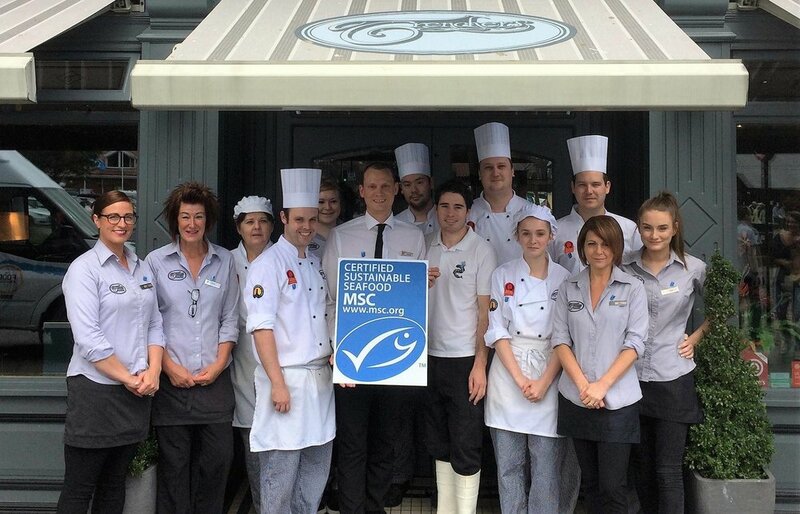 We always ensure that our fish is of the finest quality and comes from only recognised suppliers. Trenchers Cod, Haddock and Plaice are wild and come from sustainable well managed fishing grounds. Our suppliers are required to provide written documentation regarding this. Further information is available to our customers upon request. Our Fresh Salmon is farmed off the coast of the Shetland Isles. Our Fresh Crab meat is caught within sustainable areas of the coast of Whitby in areas 37 and 38. Our chips are prepared daily on the premises. We only use fresh British Potatoes, Maris Pipers or similar. .
All used oils and fats are collected by a reputable company and turned into Bio-Diesel. The packaging used in our Takeaway is environmentally friendly. The average Fish and Chips contain 595 calories and 9.42g of fat per 100gm. (information supplied by the Seafish Authority). Our light crispy batter contains Wheat Flour. However, Gluten Free Batter is available upon request. The restaurant currently employs over 60 dedicated and hard-working members of staff, each one being responsible for ensuring service with a smile is enjoyed during every visit. The management team are dedicated to creating a family atmosphere for customers dining at the restaurant and employees alike. With members of our loyal team serving for over 30 years and families passing the torch from generation to generation on many occasions, there are certainly many stories to tell! In 2018, Trenchers proudly set sail up North, to Whitley Bay. Situated on Whitley Bay’s iconic promenade sits the stunning Spanish City, with Trenchers located directly underneath the dome. The seafood restaurant is the perfect setting whether you’re making a trip with the whole family, that well-needed ‘date night’ with that special someone or a casual catch-up with friends. The restaurant notably enjoys a very special spot under the dome itself with a pianist playing on selected days. With options including Fish & Chips, Vegetarian and Vegan options, Homemade Pies, Lasagnes and plenty of Seafood, there truly is something for everyone.